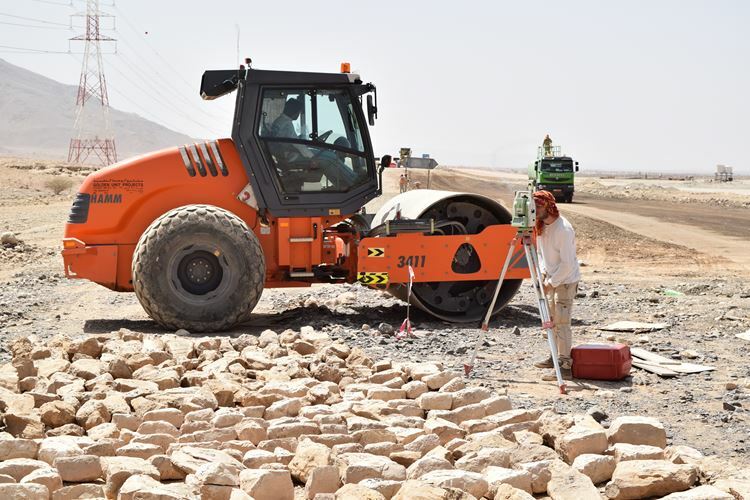 The construction in 2015 of a new road between Dkhank and Al-Khubayb in the Adh-Dhahira governorate endangered a tomb from the 3rd millennium BC, which was subject to a rescue excavation by the University of Tübingen. 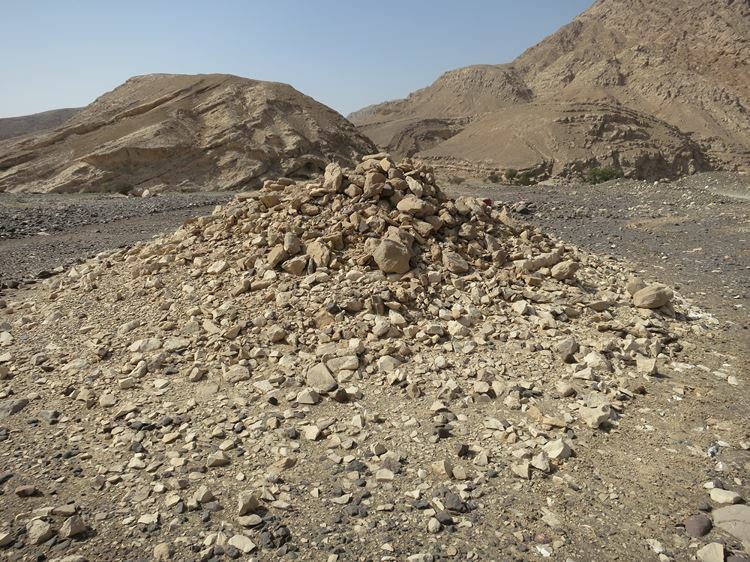 The tomb is located about 13 km to the west of Dhank and about 5 km to the northeast of the Al-Khubayb necropolis, which is investigated by the Social, Spatial, and Bioarchaeological Histories of Ancient Oman project. The tomb stands together with four others on a wadi terrace at the entrance of a pass through the first range of the Al-Hajar Mountains. The investigated tomb of Al-Khubayb. The tomb has an external diameter of 5.54 m and is divided by an internal wall into two semi-circular chambers that are accessible from a shared entrance in the West (3D model). At the beginning of the excavations the entrance was carefully blocked. The external wall consists of a façade of carefully dressed white limestones and a row of brown limestones in the interior. The space in-between is filled with smaller stones. The floor of the tomb is made up of stone slabs. The ground plan of the tomb with two chambers as well as the façade of white stones is a clear indicator that the tomb dates to the Umm an-Nar period (2700–2000 BC). Its general small size as well as the enormous wall-thickness reminds one, however, of tombs of the Hafit period (3100–2700 BC). 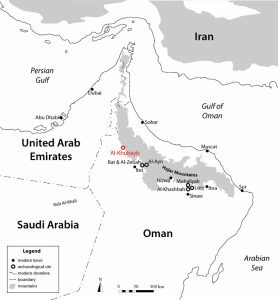 Therefore, it is to be assumed that it was built at the beginning of the Umm an-Nar period. In the fill of the tombs several metal objects and iron fragments, two shells, one bead, the rim of a glass vessel, the base of a stone vessel as well as highly fragmented, badly preserved human bones were found. All finds date to the Samad period (300 BC – AD 300) and are thus nearly two thousand years younger than the construction of the tomb. Hence, they belong to a later reuse. At the end of the excavations the stones of the walls were numbered and later completely removed before the construction of the road was resumed. Nick Kirchhoff surveying the tomb.